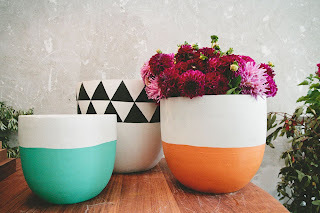 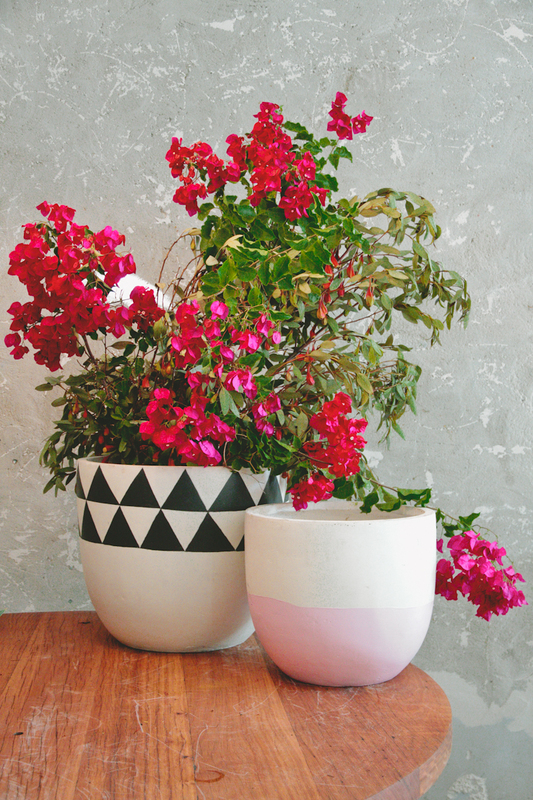 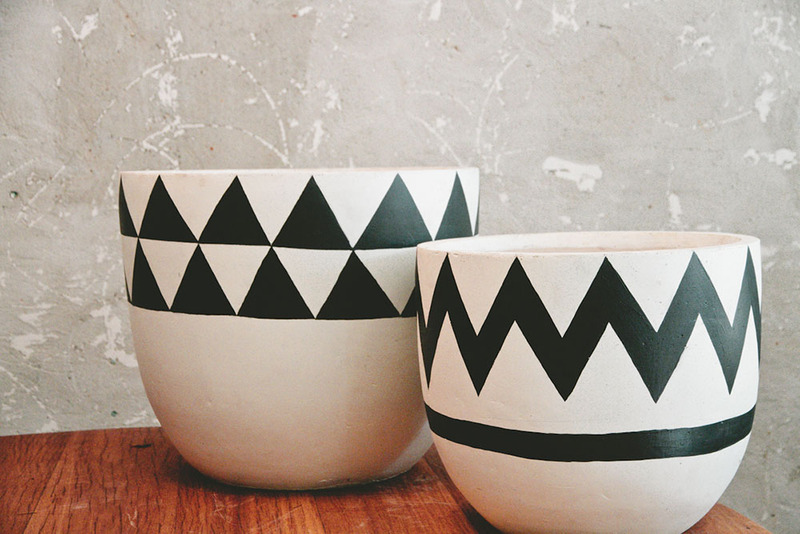 These gorgeous hand-painted pots by floral stylist Poppy Lane are made from lightweight fibreglass and are suitable for indoor and outdoor use. 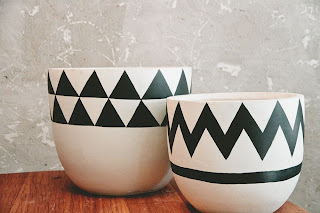 I came across them via Tait Outdoor here in Sydney but Poppy creates them in Melbourne in a cooperative workshop called Pop & Scott, which she and Scott Gibson share with other talented craftspeople. The pots are made to order, so allow two weeks.